So what are the prospects for next year? Will the ice consolidate a little more, hover around the 2007 and 2008 level, or beat 2007? My gut-feel (and, in the absence of further info on how the ice finished this summer, that’s all it is) is that the odds remain roughly 50/50 on a new record. A warmer winter than last, or a sunnier summer is all that it might take to cause greater loss. So I’m happy with my double or quits – at least for the time being. 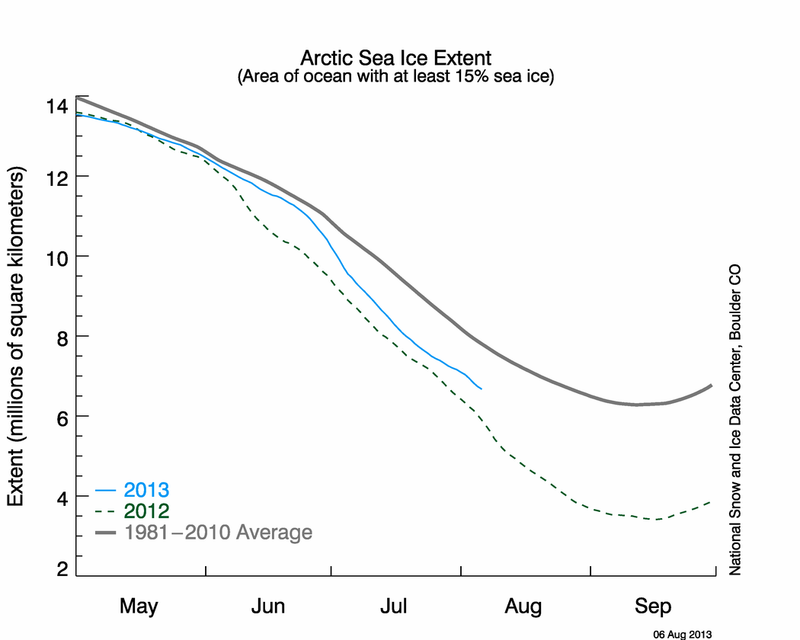 NSIDC September 24th update here (note continuing reduction in multi-year ice). NASA reports that ice loss in August was fastest ever seen – and produced an excellent animation of ice coverage over the year (in right column, third image down). Meanwhile, ice loss from Greenland is also increasing (there should be much more concrete info later this year when the 2008 summer season reports start appearing), and a team at Ohio State University are beginning the Arctic System Reanalysis project, which will “merge a decade of detailed atmospheric, sea, ice and land surface measurements into a single computer model-based synthesis. The coupling of these immense data sets will produce complex and instructive descriptions of the changes occurring across the normally frigid, remote region.” The project will generate about 350 TB of data. Won’t run on my Macbook Pro, then… Plus there’s some learning about ice going on at the blog of a real ice man – Bob Grumbine’s More Grumbine Science here. I think it’s worth watching how the freeze goes this winter. Methane gas from the sea bed has entered the picture. If it acts the same as methane emissions from the land permafrost, the gas will continue to discharge this winter. I wonder how will it interact with the new ice…. Sorry I’ve been quiet after you made your nice mention above. Rest assured, though, more sea ice comments will be appearing. In the mean time, if you have suggestions or questions, please to mention them or post them over in my ‘question place’ thread. Too bad I didn’t get in to the betting game with you. I’d also have taken ‘not a new record’ side for this year. I guess I’ll have to buy your book with my own dollars. For next year … I don’t know. I’m going to be taking a look over the next few weeks and see what sort of honor bet (I don’t do money bets) I’ll try to inveigle William Connolley in to. William seems happy to accept beer and carrots, as long as he’s on the cold side of any bet. PS: You use “penguin dreams” as your name at the blog: are you an Opus fan?